The main components of high and low temperature test box are imported parts, which have excellent performance, beautiful appearance and good reliability. It is an ideal choice for environmental test of laboratory equipment. 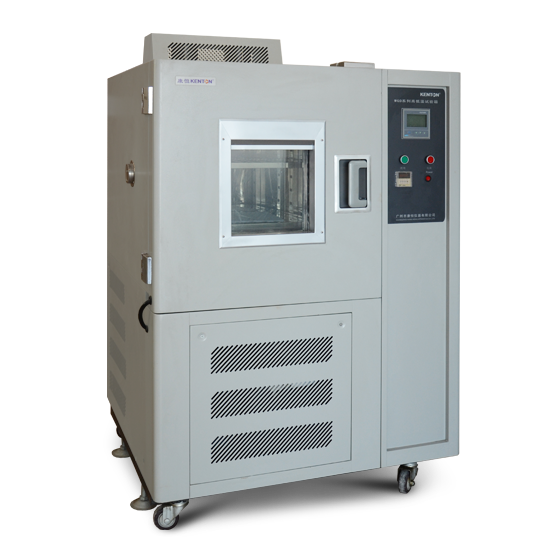 The high and low temperature test box has a wide range of temperature and humidity control, and can meet various needs. It can adjust the ideal temperature environment and has the ability of stable balanced heating. It can control the temperature with high precision and stability. It has the function of timing and overtemperature alarm. The door of the test box is equipped with an illumination observation window. It is very convenient to observe the sample. The structure of the double-layer door seal can ensure that the energy in the chamber is not easily lost. 1. In order to avoid machine failure in high and low temperature alternating test box, please provide power supply in rated voltage range. 2. Please try not to open the door of high and low temperature test box in instrument work. Opening at high temperature may cause burns to operators, opening at low temperature may cause frostbite to workers in the early field, and may cause freezing of evaporator, affecting refrigeration effect. If it must be opened, please do a good job of protection. 3. It is forbidden to dismantle, process, transform or repair the high-low temperature alternating test box without authorization, otherwise there will be danger of abnormal action, electric shock or fire. 4. During the operation of the high and low temperature test box, the power input terminal cover must be installed on the terminal board to prevent electric shock. 5. Safety should be fully considered before modification, setting, signal output, start-up and stop of high and low temperature test box in operation. Faulty operation may cause damage or malfunction of working equipment.